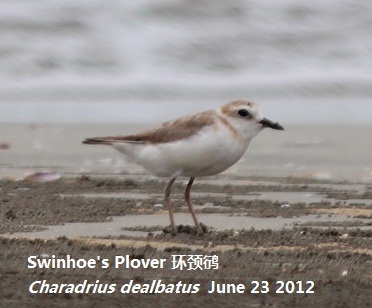 This site has been found in the last few years to hold significant numbers of the recently re-discovered Swinhoe's Plover Charadrius dealbatus in the breeding season together with Little Tern. Easily accessible from Hong Kong this is a great summer weekend trip combined with the the two other Hai Feng sites. 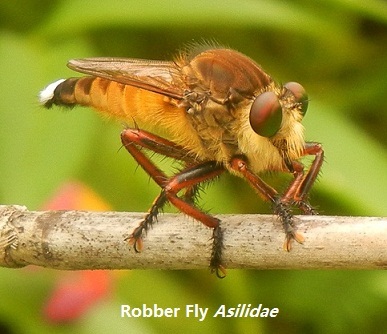 A large Robber Fly was an unusual insect sighting. 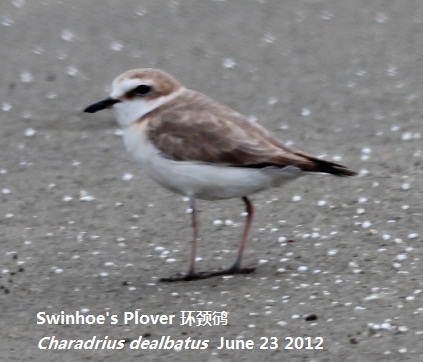 Swinhoe's Plover is found on the beach all year round. 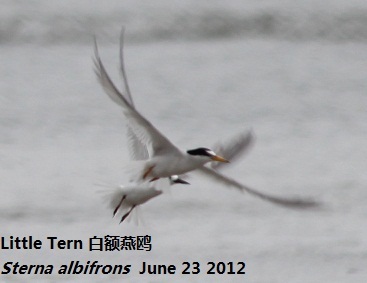 Little Tern is easy to locate in the summer months. Long sandy beach with pine trees and marsh adjacent to it. From Haifeng 海丰 take a taxi to Da Hu 大湖 which will cost about Rmb100 (June 2012). 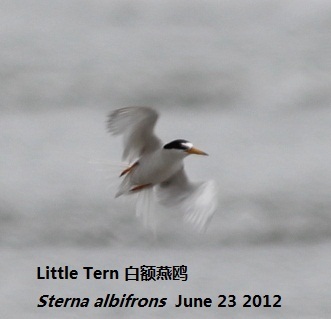 This can be combined with a trip to the Purple Swamphen site at Sha Gang 沙港 (see separate page). On the way back from Da Hu pick up a van to Sha Gang and from there. Before entering Da Hu village there is a bend to the left with a new straight road leading off to the right. Take this road about 200m and then walk along the track on the left just before the bridge. There are fishponds here which attract egrets. After another 200m there is a small path to the right through pine trees (which can be waterlogged after heavy rain). Walk through the trees and you will come out on to the beach. Walk right and then left along the beach to look for the plovers and terns. There is a road coming back to Da Hu if you walk left along the beach for about 10 minutes. Take this road into the village. There is a small stall near the junction at which minivans will stop for passengers to Sha Gang from time to time.